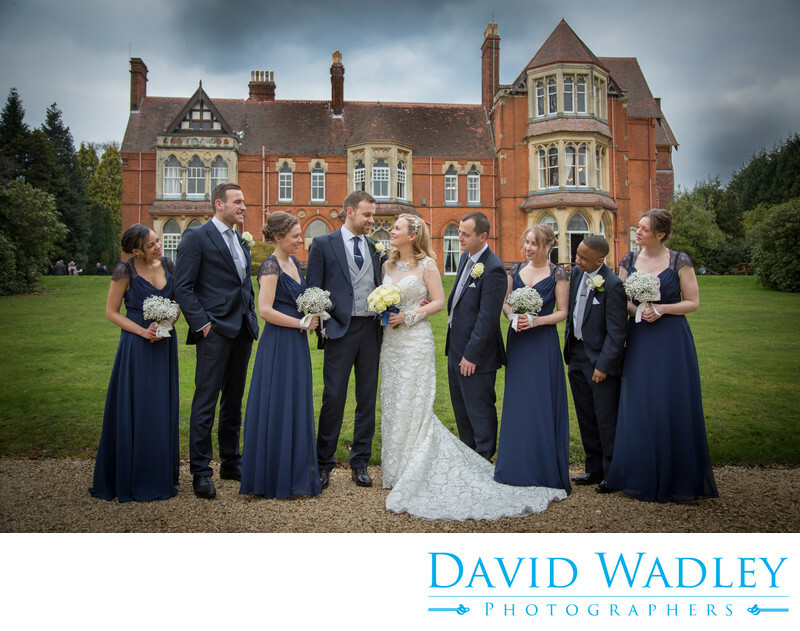 Wedding Bridal Party at Highbury Hall Birmingham. Wedding Bridal Party at Highbury Hall Edgbaston Birmingham. Wearing Blue Bridemaids Dresses.